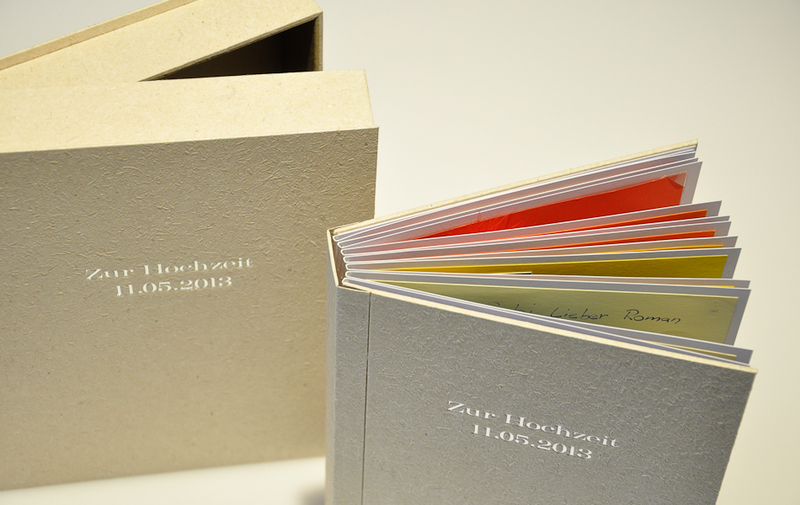 I recently worked with a client to design a special wedding guestbook. 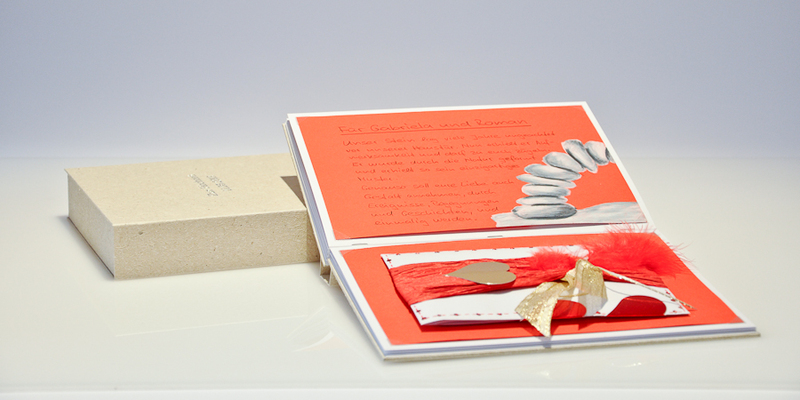 The idea was a lovely one: guests were sent blank pages prior to the wedding and had time to write, design, collage, and create their own special messages for the bride and groom. 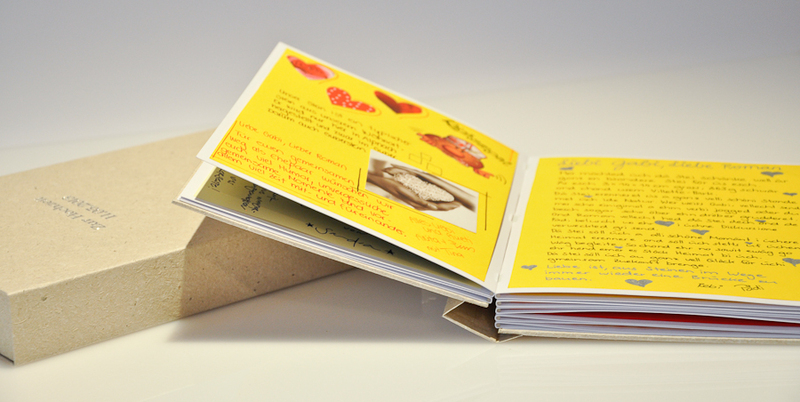 The individually created pages were thoughtfully crafted and wonderfully individual. Some pages actually had quite some dimension, which meant that special consideration had to be taken in order to accomodate their extra thickness in the binding. My flex-spine album structure is a perfect fit for just this sort of challenge. Constructed with fine rods along the spine of each signature, I can easily build in the proper amount of space to accomodate the mounted pages. 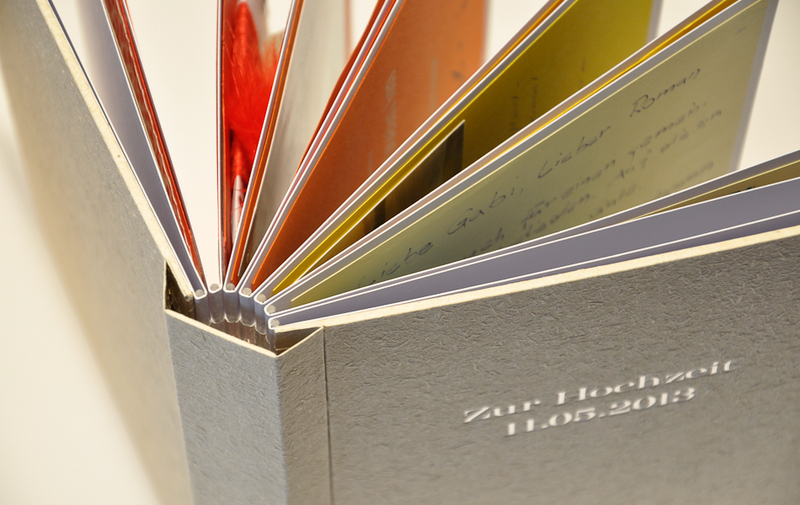 It is also makes for a very flexible album, where each spread opens and lies completely flat without any stress on the binding. Read more about the flex-spine album here. I will also be teaching a workshop on the structure for the Guild of Bookworkers in Denver in July 2013. The covering material is elegant and understated – a handmade flax paper from Cave Paper that is beautiful and also quite robust, which also made it a suitable choice for constructing the accompanying clamshell box. The cover of the book was stamped in silver foil, along with the box and the first page in the album. 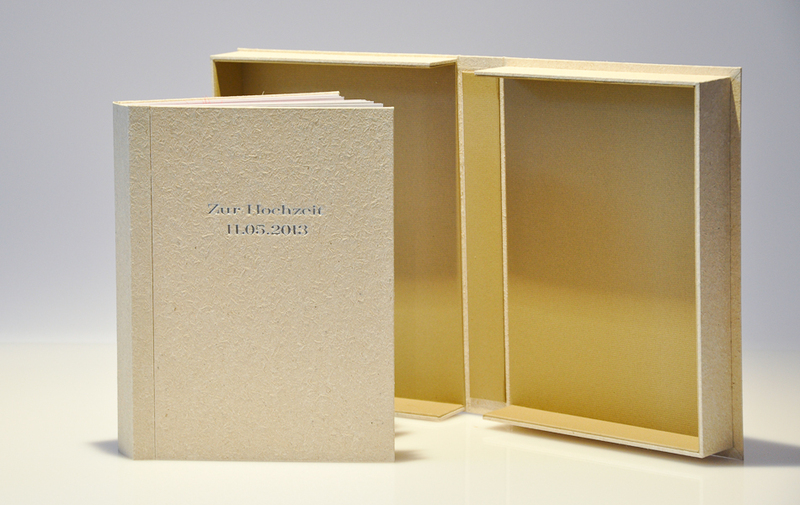 The archival quality clamshell box is a fine and sturdy double-wall construction with Hahnemühle Bugra paper liners.